CNR utilized its 33 years of exhibition experience in the beauty, health and skin care industries. "Beauty & Wellness Show Istanbul" took place between the dates of September 20-23, 2018 at CNR Expo Yesilkoy. Companies operating in the skin care and beauty, health products, and equipment, cosmetics and perfumery products, spa and fitness sectors exhibited their products and services in the Beauty & Wellness Show Istanbul 2018. The exhibition also became a meeting point for potential buyers and distributors. Over 500 brands met with 25,000 professional visitors including beauty center owners, plastic surgeons, dermatologists, dieticians, beauty specialists, estheticians, hairdressers, spa, fitness center, and hotel managers. Beauty & Wellness Show Istanbul, keeping up with the industry by means of its extensive participant portfolio, giving visitors the opportunity to get acquainted with the innovations, products, and services of the exhibiting companies in the industry. The Beauty & Wellness Show Istanbul 2018, designed to be a powerful interactive tool bringing together high volume buying groups with companies in the industry, hosted B2B and B2C events during the show. These one-to-one business meetings among national and international visitors and exhibitors ensured a high trade volume for the show. Thanks to the promotional activities conducted by the expert marketing team of CNR Holding, the show is the most important beauty event not only in Turkey but also in the neighboring region. Exhibitors found the opportunity to increase their export volume considerably with the procurement delegations organized in Beauty & Wellness Show Istanbul. Actress and presenter Fatoş Kabasakal, joined the opening ceremony of CNR Beauty & Wellness Show İstanbul. Kabasakal charmed the visitors with her beauty, attracting great attention with the makeup and skin care show. Beauty & Wellness Show, which unites the Turkish beauty and skin care industry in Istanbul, has started at CNR EXPO Yeşilköy. General Coordinator of CNR Holding Cem Şenel gave a speech at the opening. Şenel said, "We aim to raise the export numbers of the beauty, wellness and skin care industries. Cem Şenel continued, "CNR Expo Yeşilköy, where we hold the most prominent exhibitions worldwide hosts the beauty, wellness, and skin care industries this time. We aim to make the CNR Beauty& Wellness Show the most prestigious exhibition of Eurasia in its field. The event is getting a great amount of attention from international manufacturers. Over 100 companies are exhibiting with more than 500 brands at Beauty&Wellness. The event will welcome industry professionals for 4 days and exhibitors will get a chance to meet 12 thousand Professional buyers. The exhibition will provide business opportunities to exhibitors, increasing their brand recognition and market share. CNR Beauty&Wellness Show is organized by CNR Holding subsidiary İstanbul Trade Fairs with the support of the Ministry of Health. The exhibition is held on 10 thousand sqm where brands showcase everything from medical beauty equipment to beauty salon equipment and spa and wellness products. CNR Beauty&Wellness Show İstanbul hosts exhibitors from Germany, Brazil, Bulgaria, France, India, Israel, Spain, Italy, Pakistan, Poland, Thailand, Taiwan and USA as well as buyers from Germany, Italy, France, Greece, Russia, Azerbaijan, Algeria, Morocco, Iran, Georgia, Qatar, Libya, Lebanon, Egypt, Pakistan, United Arab Emirates, Saudi Arabia and Jordan. The Beauty & Wellness Show Istanbul 2018, which is designed to be a powerful interactive tool bringing together high volume buying groups with companies operating in the industry, hosts B2B and B2C events during the show. 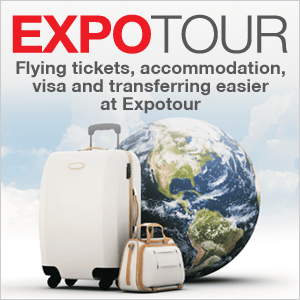 These one-to-one business meetings among national and international visitors and exhibitors ensure a high trade volume for the show. Amazon Cosmetics, which combines different expectations with a holistic service approach, is coming to the Beauty & Wellness Show Istanbul 2018, the most important organization of the Turkish beauty and care industry. Amazon will present everything related to the SPA industry using its innovative approach. The Show will be held on September 20-23, 2018 at the center of exports, CNR Expo Istanbul. Amazon Cosmetics offers solution partnership to meet all the needs in the industry with its highly trained staff in SPA equipment and professional cosmetics products. At the same time, as the official advisor of the Europespa Certificate Program, Europe's most effective SPA & Wellness quality seal, Amazon provides comprehensive SPA & Wellness Consultancy services on certification auditing and all other details including application procedures. Years of experience combined with high-quality after-sales service have led the company to become one of the industry leaders. Professional permanent makeup specialist and expert aesthetician Neslim Güngen, who has been working in the beauty industry for 18 years, will be in Beauty & Wellness Show Istanbul with her trademark beauty center. 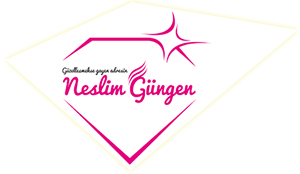 Neslim Güngen Beauty Center providing a vast variety of skin care procedures such as microblading, permanent makeup, dark spot removal, dark circle camouflage, plasma skin regeneration, salmon DNA, and LipONes will be welcoming the visitors in the Beauty and Wellness Show Istanbul. The show set to be the most significant trade fair of the beauty industry in the Eurasia region will take place on 20-23 September 2018. Güngen by merging the powers of Striort, a Botanica Mineral brand, with Fibroderms Stretch Mark Repair device has created a single groundbreaking device with which Stretch Mark treatment, Regional Slimming, Buttock Lifting, Jet Peel, Aqua Peel, and Diamond Peel can be applied. Thus, Güngen who has achieved an 80% success in stretch mark treatment, will pave the way for her colleagues in the industry by sharing her methods in the Beauty Show. 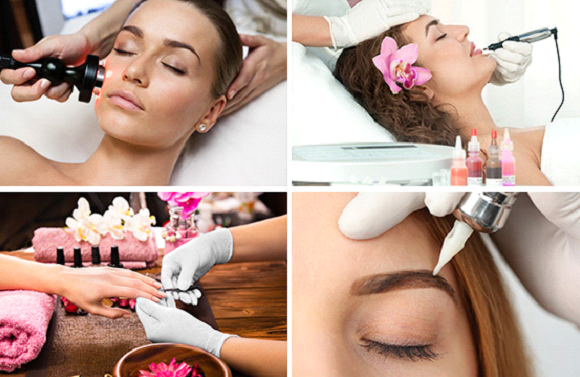 The expert aesthetician who also provides training on Bbnes, Say Farewell to Dark Circles with Magical Needles, and Eyebrow Shaping will be waiting for you at the Beauty and Wellness Show, the only address to reach to the masses! İnanır Group, operating in skin care and beauty, cosmetics and spa sectors, will be at Beauty& Wellness Show İstanbul, which is organized with the aim of becoming the biggest exhibition in its field in Eurasia. Skin care and beauty, health products and equipment, cosmetics and perfumery products, spa and fitness products and services in the Beauty & Wellness Show Istanbul 2018. 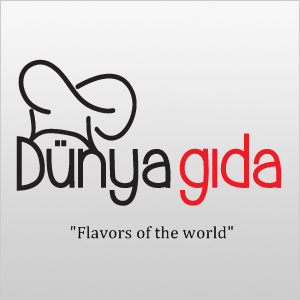 The exhibition will also be a meeting point for potential buyers and distributors. If you would like to make new business connections and increase your trade volume like Inanır Group, contact us to take your place at CNR Beauty & Wellness Show between the dates of September 20-23. The Beauty & Wellness Show Istanbul 2018, which is designed to be a powerful interactive tool bringing together high volume buying groups with companies operating in the industry, will also host B2B and B2C events during the show. These one-to-one business meetings among national and international visitors and exhibitors will ensure a high trade volume for the show. Thanks to the promotional activities conducted by the expert marketing team of CNR Holding, the show is planned to be the most important event not only in Turkey but also in the neighboring region. Exhibitors will also find the opportunity to increase their export volume considerably with the procurement delegations to be organized in Beauty & Wellness Show Istanbul. Beauty & Wellness Show Istanbul 2018 organized by CNR Holding will take place between the dates of September 20-23 at the export center CNR Expo Istanbul. Worldwide brands of the beauty industry will showcase medical beauty equipment and products, beauty salon equipment and products, microblogging equipment and products, spa and wellness equipment, and professional hair and nail care products at the Beauty & Wellness Show. Plastic surgeons, dermatologists and cosmetologists, beauty salon owners and managers, estheticians, and dermatology unit managers of hospitals and clinics from around Turkey will be hosted within the buyer delegation program. During the show where new technologies in the beauty and wellness industry will be showcased, international and domestic visitors will find the opportunity to examine, test and compare latest products, trends and a wide range of medical beauty products & equipment. CNR will utilize its 33 years of exhibition experience in the beauty, health and skin care industry. 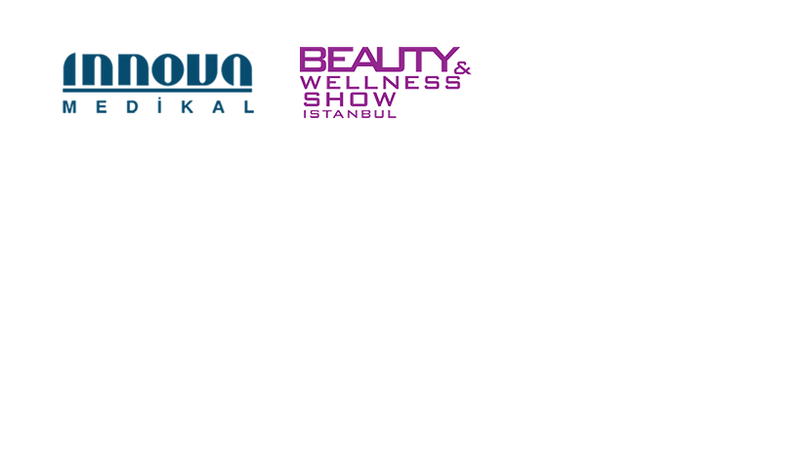 "Beauty & Wellness Show Istanbul" will be held at CNR Expo Yesilkoy between the dates of September 20-23, 2018. Companies operating in skin care and beauty, health products, and equipment, cosmetics and perfumery products, spa and fitness sectors will exhibit their products and services in the Beauty & Wellness Show Istanbul 2018. The exhibition will also be a meeting point for potential buyers and distributors. Over 500 brands will meet with more than 15,000 professional visitors including beauty center owners, plastic surgeons, dermatologists, dieticians, beauty specialists, estheticians, hairdressers, spa, fitness center and hotel managers. Beauty & Wellness Show Istanbul, taking the pulse of the industry with its extensive exhibitor portfolio, will give visitors the opportunity to get acquainted with the innovations, products, and services in the industry. Beauty and Wellness Show Istanbul will host the most important companies from around the world working in beauty, wellness, medical products and equipment, cosmetics and perfume, spa and fitness industries. 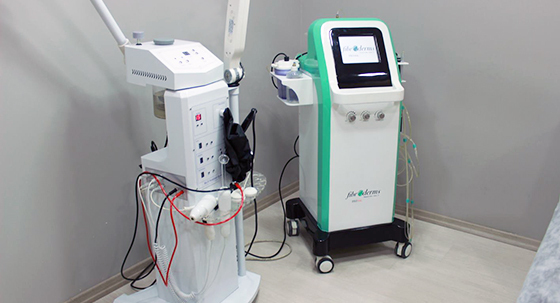 Medical Technology company INNOVA Medical, provides laser machines for beauty and wellness centers, will be at Beauty and Wellness show.